Let’s not mince words, here. Power Armor is awesome. The closest thing you get to driving a tank in Fallout 4 - and probably better, ‘cause it can climb stairs - Power Armor can turn imminent defeat into a fighting chance, and a fighting chance into an all-out bloodbath. It’s pretty damned badass to stomp around in a suit of the stuff… but the problem is, Power Armor can be difficult to find. 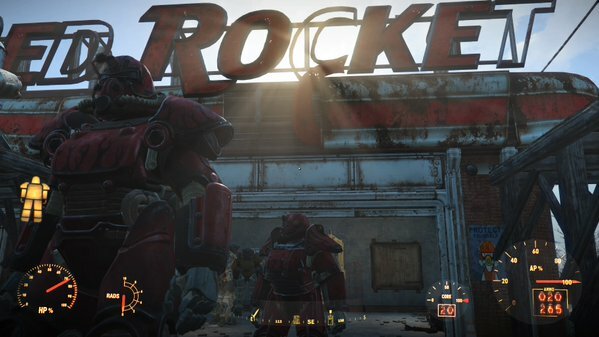 Fortunately, unlike so many things in Fallout 4, the locations of Power Armor aren’t randomized. Yay! Once you get near to level 40 X-01s will begin to appear. It’s also worth noting that you can essentially craft more advanced suits of Power Armor from parts stolen from defeated enemies who were wearing Power Armor of their own. For example, there’s a Raider on the Wreck of the USS Riptide, north of Diamond City, who’s wearing Raider Armor. You can’t steal the frame from him, but you can take the pieces of his Power Armor and attach them to a frame of your own. This is especially helpful if you found an incomplete suit and need more pieces. Please note that this list is currently incomplete. I have a lot of landmass to cover still. If you know of any Power Armor locations not listed here, feel free to point them out. Eventually I’ll try to work maps into this, as well.